BlackCompass now offers the “External Data Visualization Pack”, with this package, you can integrate and visualize just about any data source in Office 365 or on-premise SharePoint 2013. 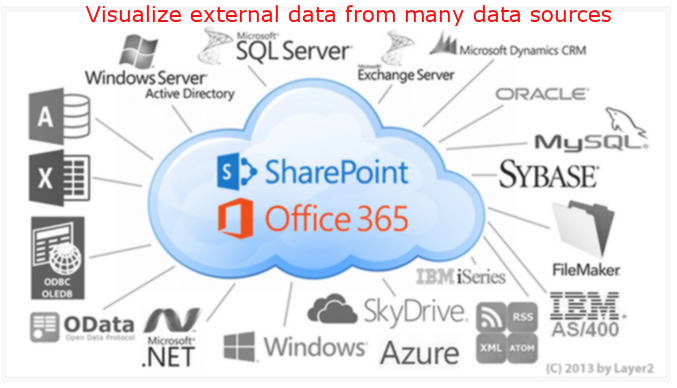 Pull External Data into SharePoint 2013 or Office 365, and keep them in sync! No more custom code, no more BCS, just pull in external data and visualize! Ask us about the “External Data Visualization Pack”!